Red Riding Hood herself, Awhimai Fraser, talks to drama on the waterfront about the panto experience for the first post of 2015! Awhimai Fraser in Red Riding Hood. Photo by Stephen A'Court. There is nothing more rewarding than watching a young child trying to tell you out of pure desperation that there is “a wolf behind you” or with cheeks turning red out of exertion after “booing” the villain off the stage. Of course, that doesn't beat the moment when the adults in the audience discover the multiple meanings of jokes in this pantomime. 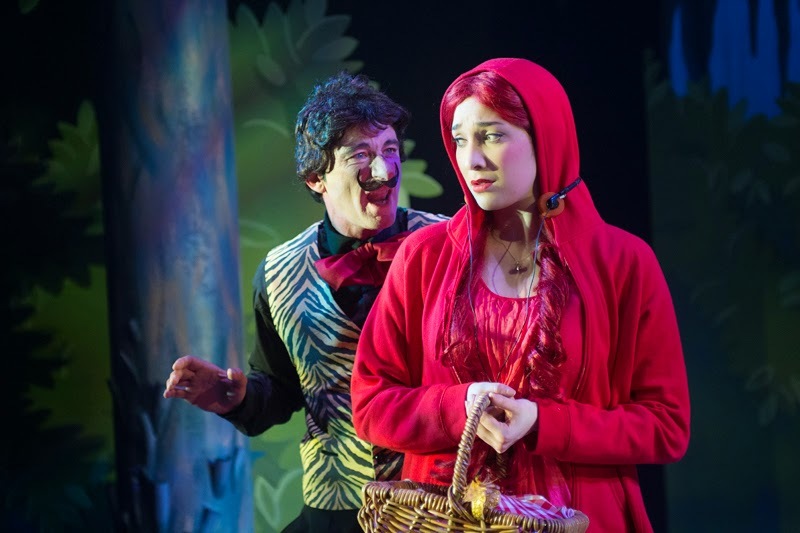 Patrick Davies and Awhimai Fraser in Red Riding Hood. Photo by Stephen A'Court. Being a member of this cast has been an absolute honour, leaving me with many fond memories; sharing stories around the dinner table, completing chocolate calendars leading up to Christmas, singing “Let it go” at the top of my lungs with the cast as a ‘pre-show warm up’ or meeting the children after the show and seeing their new found love for the Arts. 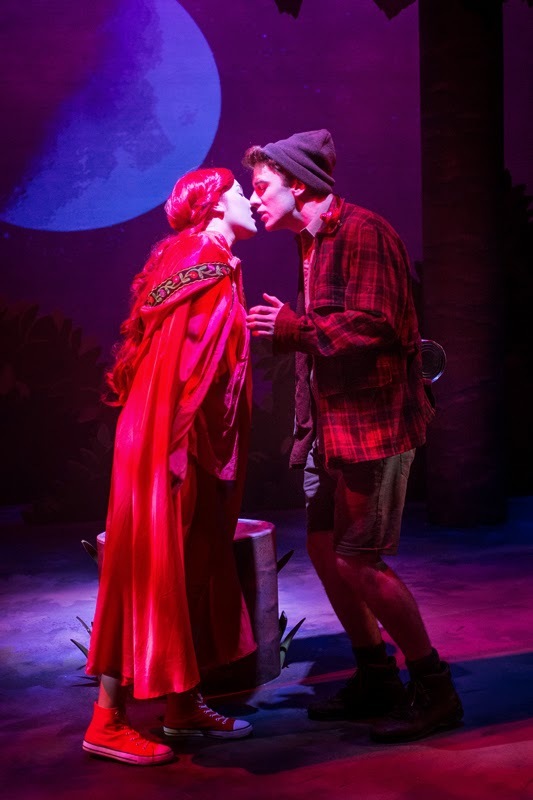 Awhimai Fraser and Simon Leary in Red Riding Hood. Photo by Stephen A'Court. After having a lovely Christmas break with my family, I am ready to get back into the second season of this exciting show! So book your tickets NOW and be prepared for an entertaining show, filled with romance, comedy and drama. Even better, it’s suitable for all ages! Why not make a night of it and have dinner at Circa’s very own bar/restaurant Encore – they make the best chicken pot pies. 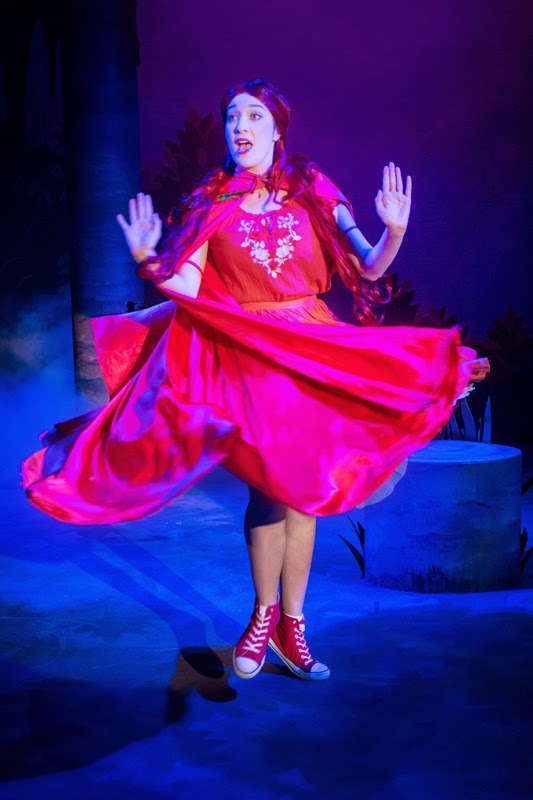 Red Riding Hood, the Pantomime runs until 10 January. To book, visit, www.circa.co.nz or call the Circa Box Office on 801-7992.